Incinerate Fat! Boost Energy! Sculpt Lean Muscle! Nine Reasons You Should Take Shred XD! 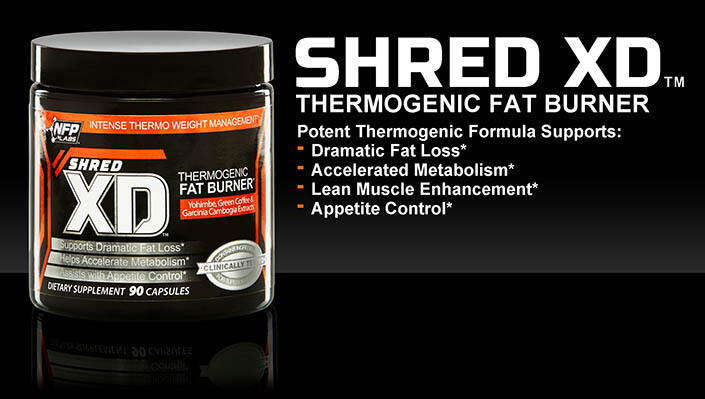 Shred XD's unique and innovative formulation is different from anything else on the market. Great product without all the jitters. Keeps me focused and helps with the snack cravings. I've been using this for 2 years now and I swear by it! I use it as my pre-workout and to keep me on track all day. I'm very caffeine sensitive and this is the only product I've found that doesn't give me the jitters or make me feel like crap afterwards. I've been using for one week and so far, no real change. There aren't any side effects though that I can tell, just can't see any real results to know if it's working yet.